TICKETS ARE NOW ONLY AVAILABLE AT THE DOOR TONIGHT. 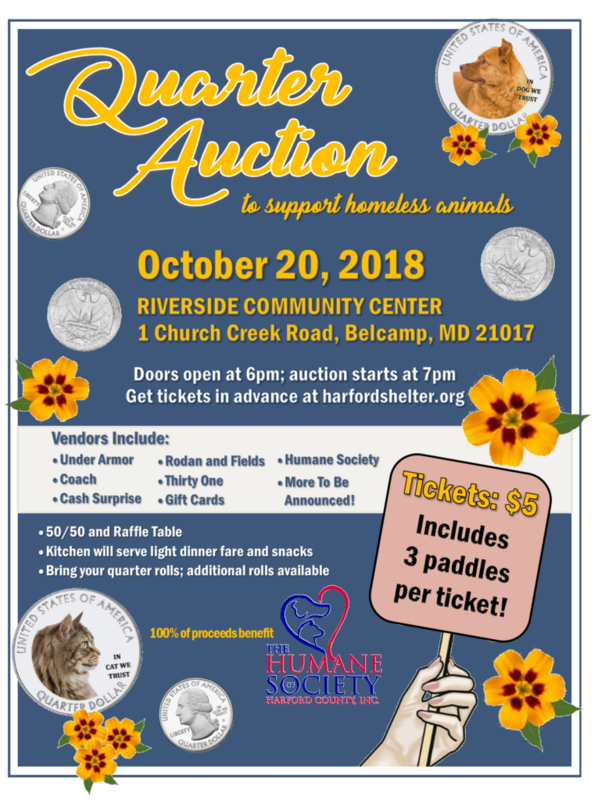 Join us for a Quarter Auction to support homeless animals on Saturday, October 20, 2018 at the Riverside Community Center, 1 Church Creek Road, Belcamp, MD 21017. Tickets are $5 each and include 3 paddles. We will not issue printed tickets (your name will be at the door). Doors open at 6pm and the fun begins at 7pm! 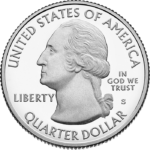 Bring your quarters, but we’ll also have extra rolls of quarters available for purchase. There’ll be a 50/50 raffle, a table of raffle items, and lots of great vendors. Lite dinner fare and beverages will be available, and we’ll have Humane Society t-shirts, ball caps, and other handmade merchandise for sale. 100% of proceeds benefit homeless animals at The Humane Society of Harford County. Thank you for your support and we can’t wait to see you on the 20th!